Selborne Primary is proud to offer a wide variety of sporting options. Selborne Primary enters three teams in the Border League, namely, Senior Primary A, Senior Primary B and a Foundation Phase teams. Derbys against Grey PE take place twice a year. Boys who excel are frequently selected for the Border Provincial Team and some go on and receive full National Colours. The Top 10 Selborne Primary squash players play against the best schools in the Border region and also participate in the St Andrews Bloemfontein Annual October Squash Festival. All squash players are required to play against each other in order to achieve Top 10 status. In the absence of League Fixtures, a ladder system is followed to ensure that all players are ranked and recognized. This sport is a largely non-competitive, fun activity held on a Thursday. Practises are interspersed with challenges thrown out at any male staff member wandering through the hall. These matches are very popular as everyone wants to beat Sir! The top eleven U/9’s play hardball and Mini Cricket is available for the rest of the boys. Selborne Primary fields A, B and C teams in the U/10, U/11 and U/13 age groups. These teams play in League Fixtures every Wednesday and Thursday. The U/13’s also field a D team which plays on a Thursday. Derby days are played on Saturday’s against Dale, Queens, St Andrews and Grey PE. Mark Boucher, a national wicket-keeper, is a proud past pupil. Selborne fields A, B and C league teams for all age groups from U/7 to U/13. The A league swimmers participate in the Border Trials. The B and C leagues participate in the Inter-school Relay Galas every second Tuesday. Selborne has won the Amakhosi Inter-Schools Gala since its inception 10 years ago. Boys from Grade 1 through to Grade 7 participate . Inter-schools Cross Country races are held every Friday at various venues in and around East London.These races are not compulsory and parents are responsible to transport their children to and from the venue. The annual E L Schools and Border Cross Country Championship takes place in the 3rd term. The U/9 and U/10 teams play ‘six aside’ and play in Hockey Festivals every second Tuesday. The boys in the u/11 age group play “eight aside” and also play in Hockey Festivals every second Tuesday. The U/13 teams play with a full complement of players and participate in League Matches every Tuesday or Friday. Derby days against Dale, Queens, St Andrews and Grey PE are played on a Saturday. The U/13 A hockey side participates in the SA National Schools Hockey Festival once a year which rotates from school to school on a yearly basis. Selborne will be hosting this event in 2017. Richard Pautz and Robbie Jones are just two of the National hockey players who are proud past pupils. Selborne Primary has the depth to field A, B and C teams from U/9 through to U/13. All teams participate in the Border Rugby League. Fixtures against the best schools in the East London area take place every Wednesday. Derby days against Dale, Queens, St Andrews and Grey PE take place on a Saturdays. 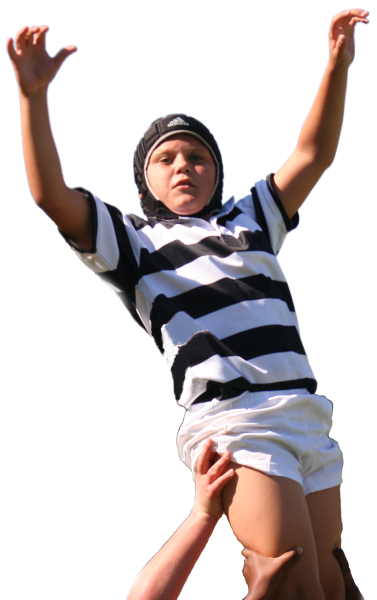 Selborne Primary’s U/13 A and U/11 A teams are regularly invited to play in the Grey Super Series in Bloemfontein as well as to the the DPHS Rugby Festival. Retired Springbok lock, Mark Andrews is a proud past pupil. Selborne participates in the League Fixtures and the Knockout Cup. The U/9A play on a Monday and the U/13A and U/11A teams play League Fixtures every Thursday. All Grade 2, U/9 C, U/11 D and U/13 D teams play in Festivals on selected Saturdays.